If at first you don't succeed, it's time to read the manual. That being said, when people need answers they usually need them NOW. So it's critical to have an easy-to-read print piece. 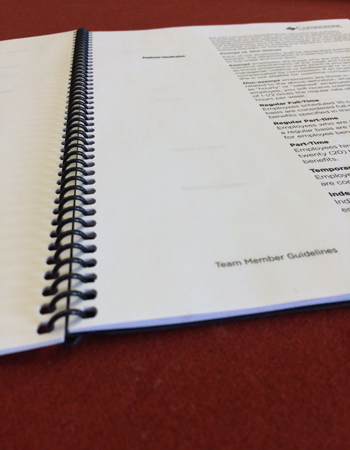 Media Factory can design, print, collate and bind your guides, manuals, and handbooks for you. Whether you need to create an instruction manual or a staff handbook, we'll ensure that it's in a format that the reader will find useful. We just can't guarantee that they'll read it.